It means the production is PAYING to market and release their own film. It doesn’t mean those involved in production are working all by themselves like DIY (Do It Yourself) has come to be understood. And it doesn’t mean DIWO (Do It With Others) because that sounds a bit like everyone is working together for free or back end revenue. Self financing means your production has budgeted money to pay for the marketing and release of the film which could include working with vendors outside of the production or hiring experts to come on board early in the production process to help conceptualize and prepare for the eventual release of the film. It is the same concept as preparing a production budget to pay all involved in the physical making of the film; the legal help, the post facilities, the equipment rentals, the cast, the crew, permits, location rentals, catering, transportation, accommodation, insurance, music licensing. Most all of these are expected costs to making a film. There is no dispute that these are required line items in a production budget. Making a film is expensive! Even spending $50,000 for production is a lot compared to what most filmmakers have in their personal savings accounts. Please don’t spend your savings account. It is a costly mistake to think that these are the only line items in a budget for film financing. In fact, there is almost no point in incurring the cost of making a film if there is no budget and concrete plan as to how it will be released. Fewer and fewer films are bought by a distributor for a price that will recoup a higher production budget, even low six figures. This path used to be the tried and true method for release, but it is just not true anymore. Even if a film does get picked up, it is likely that the marketing costs and fees to distribute the film will eat up any back end revenue due to the production by the series of entities used to release a film (exhibitor, digital platform, online retailer, in store retailer, distributor, sales agent). The whole chain takes their expenses and fees FIRST. Of course, it should be said that it is especially difficult to fully recoup the cost of making and releasing a film that is self financed. While I have encountered and worked with films that have managed to recoup the cost of their self financed marketing and distribution for a theatrical release (which helped propel their ancillary sales), I have not encountered any that have even come close to recouping the production budget during that phase of distribution, not to mention profited by it. Crowdfunding either the production budget or the marketing and distribution budget, from donors who do not expect recoupment, would go a long way to bringing a production into the black. However, crowdfunding is NOT for everyone. Let’s dispel the myth that distribution is 1) assumed to be handled by some other entity that will put in their money to do it; 2) assumed to be an endeavor performed with no money by the production on its own; or 3) assumed that “collaborators” will be found who will offer their services, connections and expertise for no money upfront in exchange for back end revenue. 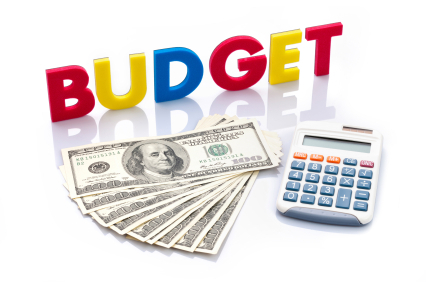 Budget for your self financed film release! In a recent interview I did for the Rebel Seed podcast, I wanted to stress something I am encountering from film producers, especially new ones. For about 4 years now, I have been keeping independent artists informed on developments in film marketing and distribution, mainly through this blog, but also in speaking, teaching, and even co authoring a book. While there are many film marketers and distribution companies in this space, FEW actually share their extensive knowledge or offer resources available for any filmmaker to use. Some don’t feel the need to share what they consider proprietary knowledge and some share only with whom they are directly working. Still, not a week goes by that I will consult with a producer who has no idea how to digitally self distribute, little idea of who the audience for their film is and what tools and money they will need to reach them, and doesn’t participate very much in the social media space. In order to successfully navigate the waters of independent film, you MUST keep informed of the new developments. The greatest asset you can invest in is yourself and gaining new knowledge in order to clarify your thinking, manage your time, remove fear and doubt, and create new habits that will pay off immediately in how you approach your work. In an effort to help get producers ready for the Spring festival season (including Sundance, Slamdance, Berlin, SXSW etc. ), I am partnering with Atlanta Film Festival in conjunction with Slamdance Film Festival to present a 1 hour film marketing webinar. As with the last one we did for distribution, anyone with an internet connection may participate and we have 2 dates to choose from this time, December 8 and December 11. I’ll cover researching your audience, writing your marketing plan, what items you will need in your marketing budget, feeding the content beast that is the social media channels, using publicity and advertising as part of a well rounded marketing effort, and the importance of an email database. Why would you need this BEFORE your festival premiere? If you can show a potential buyer that you have already started gathering an interested audience for your film, you have web site stats and social media stats to prove it, and you have your own plan in place to release your film IF they can’t come up with an attractive offer, you will be in such a better position to negotiate a great deal than the 95% of other producers that don’t do this. And if you don’t get into the big fests, you will be able to start distributing immediately or use the festival circuit as part of your release to start recouping your production budget. Once you show that your distribution efforts have traction on their own, you’d be surprised at the distribution companies climbing out of the woodwork to get a piece of that action. THAT’S the position you want! Don’t be in the weak position of having nowhere else for your film to go. To sign up for the webinar on either Sunday, December 8 or Wednesday December 11, GO HERE The great thing about a webinar rather than only researching on your own is you can ask question about your particular project. The webinar will run one hour with 30 minutes for individual questions. I also offer the ability to send one question to me via email if we don’t get to yours in time. Before the New Year starts, spend some time investing in your knowledge base. The good people at the Binger Filmab in Amsterdam have kindly asked me to present a one day workshop on audience identification and audience building. This won’t be purely a lecture course on theory and tools, nor is it one big presentation for myself as a consultant. We are really going to zero on audience targets for each project that signs up, dig into what tools can be used to identify influencers and engage with them and talk about other tools such as publicity, advertising and what kind of budgets will be needed to carry out an audience building plan. Also what elements will be needed as far as web sites, social content, ecommerce and merchandising. It isn’t enough to only make a good film (but you DO need that! ), you also must know who you are creating it for, how you will get in touch with them, and how you will stay in touch with them throughout your career. No more waste in starting over again for each new project! My hope is that all projects will walk out of the room with an action plan based on what we figured out together. There will be ample time for hands on work and guidance from myself and from my Dutch counterpart Heleen Rouw who will talk about Dutch specific tools. Production teams have until this FRIDAY MAY 17 to sign up. I am looking forward to meeting Dutch filmmakers and visiting Amsterdam again. Immediately after this workshop, I will be headed to Sheffield DocFest to be part of the MeetMarket. If you would like to schedule time with me there to figure out your audience identification and engagement plan, please shoot me an email. Since I will be speaking on Monday, April 29 at the Sync Up Cinema Conference, I thought I would share some details about that free event and give you a taste of a few things I will talk about. Sync Up Cinema will be presented by the Jazz and Heritage Foundation and the New Orleans Video Access Center (NOVAC) in conjunction with The New Orleans Film Society (NOFS) and held at the New Orleans Museum of Art. It is a conference focused on Louisiana film production and the emerging opportunities in the film industry. My conversation with Clint Bowie of the New Orleans Film Society will start at 5:30pm and we’ll be talking about all things independent film marketing, film festivals and film distribution in the digital era. As this won’t be a panel discussion, I have created some notes of case studies, statistics and other information that you won’t want to miss. How can a filmmaker brand herself using the internet? How to formulate a film festival strategy? What is an impact festival? How to decide which distribution route to take based on the film you have? What are typical advances being paid and for what kinds of films? How much to budget if you plan to have a self release of your film? Do you need a theatrical release in order to have a successful ancillary release? Why social media cannot be the only tool you use to market a film? I don’t know if the session will be recorded and uploaded online later for those who are not in New Orleans, but I will keep you posted if that happens. The hashtag for the event is #SyncUpCinema if you want to start following it this weekend. I hope to see many New Orleans filmmakers at this event! Sync Up Cinema is free and open to the public. 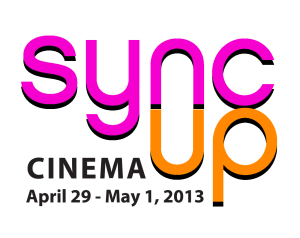 Major sponsors of Sync Up Cinema include National Endowment for the Arts, Cineworks Louisiana and Entertainment Partners. Now that there is some form of distribution available to every project made, whether it is working with a service company to theatrically release or uploading the project online for free and enabling perpetual viewing, it is time to acknowledge that new mindsets and skills are needed not just for filmmakers, but also for film promotion. Traditionally, a publicist’s role was to leverage the relationships she had formed with editors and journalists (the media) to ensure story placement in publications and she strived to convey a cohesive message about a film. She endeavored to control the message and those who were allowed to carry it. The prominence of social channels has torn this process apart. Now, the media aren’t the only ones talking about a film and it is getting increasingly difficult to control the message. It is becoming more prevalent to create the dialog instead. Whether you choose to take on the promotional role yourself as a microbudget filmmaker or you are looking to start working in film promotion, the skills now needed go well beyond writing a good press release and having a good database of personal contacts ( but you still need those too). Here is a look at some emerging skills with the knowledge that it is nearly impossible to find strong abilities for all of these in one person. -Storytelling and curation. Writing skills still play a vital role in film publicity, but there’s more writing now than ever. As social tools enable a production to reach an audience directly and wherever they congregate online, something besides a “message” must be written. Stories that are memorable, relatable and “sticky” will pull people to you and keep them coming back and the stories aren’t only written by a journalist; not when one has a blog, a newsletter, a Tumblr page, a Facebook page, a Twitter account, Pinterest boards and possibly participating in forums. We’re now talking to the audience, not through third party media. Many more tools, many more skills needed to understand how each one works and how to get the most from them. 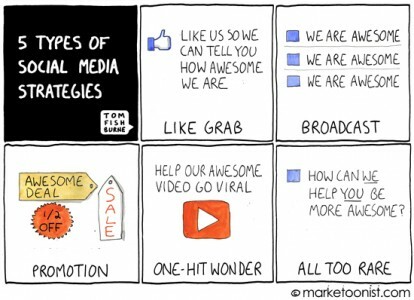 A visual sense of storytelling is needed as well because many of the social posts that get the most interactions and shared are photos/videos/infographics. In order to develop stories that resonate, one must spend much more time getting to know the audience as people with definite tastes and interests, not as faceless, broad demographics. Also, time must be spent finding great information and sharing it which is just as important (perhaps MORE important) as creating it. Tools that help aggregate useful information and inspire self published content will need to be found and this has become a standard duty in the work day. -Technical skills. The ability to code, photo and video edit and format, graphic design, link building and SEO, as well as keeping up with every little trick Facebook settings can throw at you will become increasingly useful. In order to use the new tools effectively and keep to a modest budget, personal training should be undertaken to develop a good understanding and at least a basic level of performance. -Observation and monitoring. Learning to listen first is without a doubt a very useful skill in the online world. Too many times we are pushed to “sell” “convert” “promote” with no real understanding of who we are talking to and what they care about. Indeed, previously it was difficult to know what “they” care about because “we” didn’t really talk to “them”, but this isn’t the case anymore. Sharing opinions, recommendations, emotions, interests, locations, and personal details abound on the internet and there is no longer an excuse to guess about the needs and wishes of the audience. They are talking online every day, so listen. Monitoring conversations, picking out trending topics, predicting what is likely to spark interest, and THEN actively participating in those communities in an authentic way is how to get the information and interest flowing. -Measurement. This is now the world of big data and making sense of everything that can be tracked (because lots can be accurately tracked) is increasingly needed. Analytical skills to evaluate trends, outcomes, and correctly interpret and apply data are skills that enable communicators to turn data into actionable work and measure return on investment. Also, turning data into visual interpretations for management (charts, graphs, statistics) helps show the impact of your work or where things need to be adjusted. -Fundraising and organizational outreach. Not a week passes that I am not asked about advice on a crowdfunding initiative. Crowdfunding is not only about raising money, but also raising a profile, creating attention, building mutually beneficial partnerships and gathering an audience for a project that may just be starting. Understanding the needs and motivations of a particular group of people sounds quite psychological and it is. Communicators have always needed to be aware of psychological triggers that cause people to care about the message, but in the online space where one isn’t face to face and many decisions hinge on long earned trust, it takes a different mindset and skillset than writing out a good prospectus or pitch letter. Continual research and outreach to influencers and organizations helps to build up the long term trust that can enable one to call on help when it is needed, whether it is financial help, spreading the word on a project or collaborating together by submitting material (crowdsourcing) in order to give the project a richer life than one the production could create on their own. -Constant adaptation. 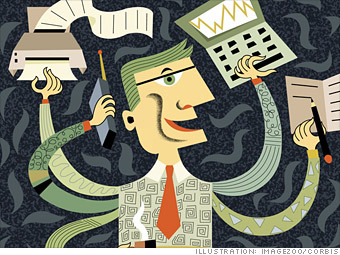 Most of the above skills are a catalog of communication demands that didn’t exist 5-10 years ago. Nothing is constant in life but change, right? You can be sure that as new technology and platforms emerge and information gets even thicker and faster, the ability to learn something that wasn’t around even last year will serve you well. Spend time every day learning, reading, and practicing for improvement. A Google search engine is a wonderful thing and nearly everything can be researched and learned for nearly free online. Failing to understand when the shiny new tool becomes THE necessary tool in the pack could marginalize you. Keep up with the trends and adapt accordingly. I will be participating in a half day workshop in Los Angeles on May 26, 2012 with The Film Collaborative’s Orly Ravid and Jeffrey Winter. This will be an intensive session filled with tools and strategies you should know regarding building an audience with online tools, utilizing film festivals and how to plan your distribution with particular emphasis on digital distribution. This workshop is for filmmakers who are ready to accept the new challenges of film marketing and distribution and not intended for those only seeking a traditional, all rights scenario. Tickets are more than affordable ($20 for TFC members, $50 for non members) and are on sale now.